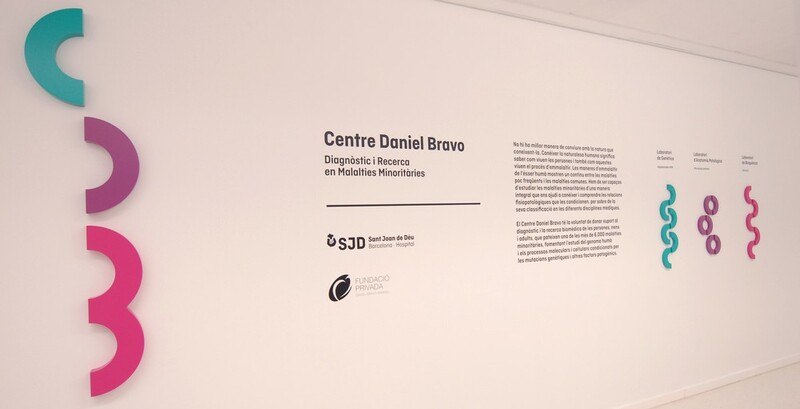 The Daniel Bravo Centre for Rare Diseases Diagnosis and Research at the Sant Joan de Déu Hospital was officially opened on 15 May 2017 during a visit by the Board of the Daniel Bravo Andreu Private Foundation. The new centre is intended to provide a meeting point and a place for support and will be open to every group and institution in the country conducting research into rare diseases among children and adults alike. The aim is to enable all these groups and institutions to use the facilities at the new centre to assist them in the excellent research work they are doing. Two next-generation sequencing (NGS) machines to massively sequence the DNA of genomes (80% of rare diseases are of genetic origin). An ultra performance liquid chromatography + mass spectrometry (UPLC-MS) system, which is a high-resolution liquid chromatography instrument that overcomes the bottlenecks associated with classic HPLCs, since it is capable of high-speed, precision analysis of various metabolites at the same time. An STED 3X super-resolution confocal microscope that makes it possible to view both fixed samples and cell cultures at significantly improved optical resolutions (down to 50 nanometres). As cell cultures can be viewed, this makes it possible to observe molecular activity in the cell in real time. In order to take full advantage of the new equipment and to generate knowledge that will have an impact on patients, three specialists have been added to the bioinformatics (two) and microscopy (one) units. This clinical environment that combines highly-skilled researchers with state-of-the-art equipment will make it possible to discover the genetic mutations responsible for diseases that are already known and even to define new diseases or pathologies that have not as yet been described. It is estimated that a correct diagnosis cannot be provided for almost one in ten patients with a rare disease today. This lack of a diagnosis is a source of added anxiety and suffering for patients and their families and is also a hindrance when it comes to initiating the most suitable treatments for the early stages of their disease. The Daniel Bravo Centre for Rare Diseases Diagnosis and Research has been created to provide a new model of translational research in which high technology serves patients of every age. Even though most rare diseases are diagnosed in the early stages of life, many continue to manifest themselves in teenage years and some present when patients are of adult age. A child patient’s transition to adolescence and then to adulthood represents a major challenge for their family and immediate circle and, indeed, for society as a whole. With this initiative, the Daniel Bravo Andreu Private Foundation seeks to contribute to speeding up diagnosis, a basic tool for treating these diseases and providing care for sufferers. At the same time, it aims to equip research groups to enable them to provide a response to the central focus of their work, patients and their families. We continue to endeavour to strengthen the two core aspects of our philosophy: care and research.